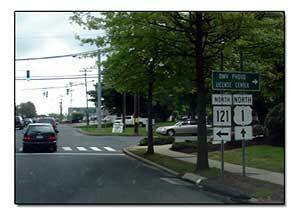 We pass signs for the Milford Photo License Center when we're traveling on Boston Post Rd. Haven't really had a need to go there though. I think it's nice that they set our driver's licenses up for six years now, don't you? I-95 South: Take exit 39A. Travel two-tenths of a mile. Bear left at the fork in the road onto Cherry Street. Follow Cherry Street for eight-tenths of a mile to a stop sign. Take a left onto West River Drive. The office is located in the Parson's Government Center, on the right hand side. I-95 North: Take Exit 39A. Take a right off the exit. Proceed two-tenths of a mile. Bear left at the fork onto Cherry Street. Follow Cherry Street for eight-tenths of a mile. Take a right at the stop sign onto West River Drive. Dept. office is located in the Parson's Government Center, on the left hand side. Wilbur Cross Parkway North or South: Take Exit 54. Take Route 1 north. Turn right at the second traffic light (North Street). Travel three-tenths of a mile to the first stop sign and turn right onto West Main Street.